MDC legislators said they were not going to be used by Zanu-PF to fight their factional battles through the planned impeachment of President Emmerson Mnangagwa. MDC chief whip Prosper Mutseyami told journalists yesterday that soldiers killed 15 people adding that they are not in Parliament to fight Zanu-PF factional battles. "With Zanu-PF rapture at play, the MDC caucus is also being targeted to avoid its participation in a rumoured impeachment plan. We have nothing to do with Zanu-PF internal politics; we were elected to represent the people and not to fight factional battles of those presiding over a rogue state. "There is however, no need for impeachment. The executive has failed in absolute terms and violated the obligation to obey and uphold the Constitution. It follows that Mnangagwa and his Cabinet must resign." 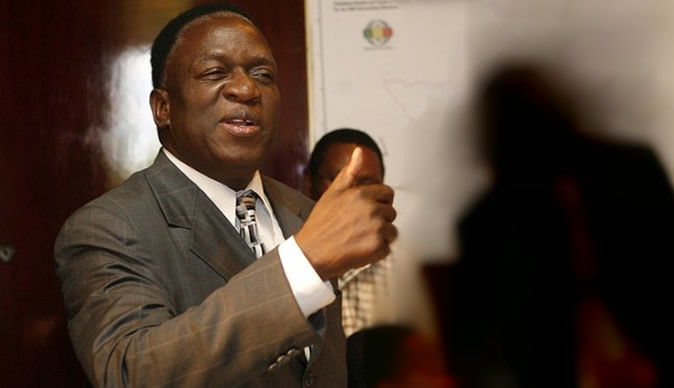 Ironically, Mnangagwa's predecessor Mugabe threw in the towel in November 2017 when Parliament had set in motion an impeachment motion - jointly supported by both Zanu and MDC legislators. Ever since Mnangagwa's Team Lacoste faction annihilated the rival Generation 40 (G40) camp in 2017, cracks have been widening in Zanu-PF. Two main factions now exist in Zanu-PF; one aligned to the seating head of State and government and the other driven by retired army generals, who still wield enormous influence among the uniformed forces. Not helping matters is the fact that a large number of G40 functionaries, including associates of former vice president Joice Mujuru - who was fired from Zanu-PF and government in 2014 for plotting to unseat Mugabe using unconstitutional means - are still commanding influence in the party's rank and file.